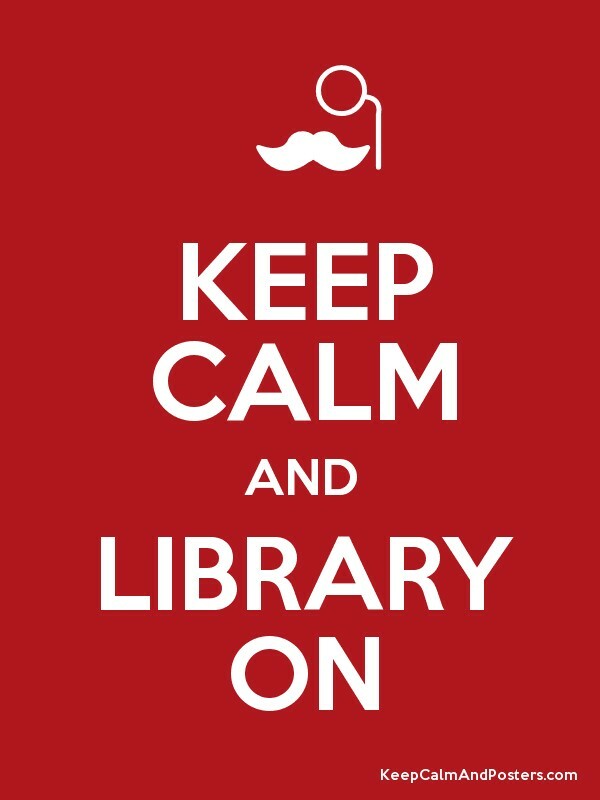 The week of April 13 – April 19, 2014 is National Library Week! One week each year, usually in April, since 1958, libraries throughout the nation have held celebrations ranging from simple posters to all out parties to celebrate all that they have to offer (staff, materials, “spaces”, etc.) as well as supporters and patrons. The celebration was developed by the National Book Committee, which was made up by members of the American Library Association (ALA) and the American Book Publishers. In 1974 the National Book Committee was disbanded and ALA took over full sponsorship. The original committee created the celebration with the goals of: “encouraging people to read in their increasing leisure time”, “improving incomes and health”, and “developing a strong and happy family life”. The goals set forth by the ALA may have changed a bit in the ensuing decades since National Library Weeks’ birth, but the original goals still hold true. Each library celebrates differently, of course. I’ve seen as little as a small poster on the circulation desk and as much as a week long, fun filled schedule of events all culminating with a party on Saturday (the last day) providing free food and drinks as well as games and prizes to any and all who wish to attend. Many libraries change their events to match the annual theme and frequently will gear their parties, games, etc. to children. In the last few years there has been a trend of promotions for teens and young adults, so I would expect to see more programs…particularly “maker” or “tinker” programs…aimed at that age group. On that note, the rise in popularity of the “maker” movement has prompted libraries, mostly public, to create “makerspaces” where patrons can basically work to create new things either from new bits & pieces (like a 3D printer) or by breaking apart old items (like toys, computers, fans, etc.) and using the salvageable bits. With these new spaces, there could be a variety of programs aimed to promote those spaces. This year, I expect to see a lot of programs asking patrons to share their life changing library stories or promoting using the library to help change lives (like creating an artificial hand with a 3D printer). To promote this year’s theme, @YourLibrary (a library and literacy support community), has started a drawing for a Kindle Fire. Want to enter? Just take a selfie and share it with a story of how libraries have changed your life, or what libraries mean to you. Share your photo and story on Twitter, Facebook, or Flickr using the hasgtags “#LivesChange” and “#NLW14” before noon on Friday, April 19th. If you want more details or to use the funky speech bubble created just for National Library Week this year, click here! Here at Avila’s library, we have set out some copies for use! Non-libraries get into the party as well. Different book publishers, library support groups, and technology companies will host online webinars, host events, or even offer some of their useful services for free! This year Oxford University Press has made their online resources free for the week! Just use “libraryweek” as both username and password and enjoy! Louie Louie, oh no. Me gotta go. Today is International Louie Louie Day! Everyone’s favorite party song-or at least a favorite-is celebrated each year on April 11th, the birthday of original composer of the tune, Richard Berry. Not surprisingly, he was also the first person to record it…in 1957. Since then it has been re-recorded by a multitude of big names. The version most are familiar with is the cover by the Kingsmen done in 1963. Other notable covers were performed by Led Zeppelin, The Clash, Joan Jett and the Blackhearts, Black Flag (yes, really), Young MC, Iggy Pop, Bruce Springsteen, and the Smashing Pumpkins. In addition to a variety of musicians covering the song, it has also been covered by the occasional actor in films featuring the song. Shockingly, the super catchy party anthem was meant to be the “B-side” for Berry’s recording of “You Are My Sunshine”. The song itself has been much praised and, because of a tremendous amount of history in the Washington/Oregon region different cities in both states have celebrations throughout April (and apparently September/October in Portland) to commemorate the diddy. In fact, the glorious tune was nearly declared the official state song of Washington State. More typical commemorations of International Louie Louie day have included: newspaper articles, magazine stories, radio programs, and (in cities with a big Louie Louie contingent) small parades. Occasionally, radio stations will celebrate Louie Louie day by playing massive blocks of different versions of Louie Louie. In honor of this terrific holiday, I ask that you don some kind of party wear…I suggest a plastic lei and perhaps an umbrella drink…and check out all of these different versions of “Louie Louie” I was able to dig up. I hope everyone is enjoying this lovely day (safely, please!) and has some kind of planned celebration! If you are looking for somewhere to celebrate in style next year, this is your blog post! Here are 5 places you won’t have to leave the country to celebrate St. Pat’s in style! 1. New York, NY. Surprisingly, NYC’s parade is the oldest and largest in the world and is run entirely by volunteers! 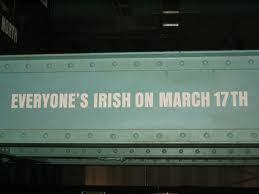 The parade has been going on since March 17th, 1762. This year (and in years past) there has been some controversy over a ban on gay rights groups and marchers with gay pride signs. If you’re not up for patronizing a parade with such a ban, check out St. Pat’s For All parade in Queens. 2. Boston, MA. Your friendly neighborhood blogging librarian (me!) was there last year. It’s a pretty wild time in that city. The parade is the second largest in the U.S. and last year took nearly 3 hours. The main celebrations take place in South Boston (Southie) but there are festivities throughout the city. This year marks the first year they are allowing a gay pride group into the parade. Typically, the activist groups host their own parade following the main parade. There is a 5/10K run prior to the parade and all of the pubs and restaurants within about a mile of the parade route are packed. Get there early to get space in the premier Irish pubs, but be prepared to pay a hefty cover charge (I ended up in a Mexican restaurant with a $5 cover but they were serving the more traditional Irish beverages and the bathroom didn’t have a line). 3. Chicago, IL. Each year local plumbers and various volunteers dye the Chicago River green for a couple days and some of the fountains run green as well! Chicago does, in fact, have a bit-o-Irish heritage, which leads to pretty fantastic festivities. There is a parade, of course, but there are other events scattered throughout the city. 4. Kansas City, MO. Yep, Avila U’s. hometown is host to one heck of a St. Pat’s celebration. We’ve had the Irish flags up in different parts of the city since the beginning of March and this last weekend there were more parades and St. Pat’s events scattered throughout the city than I really care to count. Today is the “big” parade (which started at 11AM) and there will be specials at pubs and restaurants throughout the town all day. Oh, and Power and Light will be open for revelers much of the day and around 5PM the Mowgli’s will be putting on a free show! Somehow, KC has a pretty hefty Irish background. 5. San Francisco, CA. San Francisco is a party city in itself – but when it comes to St. Patrick’s Day, you can expect them to go all out. A traditional parade that dates back to 1852 is just the beginning. Visitors and locals can pick basically any bar in the city for a good time. Everyone have a safe and fun St. Patrick’s Day! For you Avila students, I hope you’re enjoying the first official day of your Spring Break! It’s Pi Day!! No, it’s not Pie Day, that’s back in January (23rd, to be exact), but Pi, the irrational/transcendental number frequently used to figure the area of a circle (pi times radius squared…I just discovered I need to learn how to do mathematical symbols in Google Drive & Word. Good to know). Annnnyway. pi, the number, has been around for over 4000 years, though it has not always held the infinite distinction that is now has. The ancient Babylonians were the first to use “pi” to calculate the area of a circle, though to them pi was 3 (which isn’t quite right). The first person to actually calculate pi was Archimedes of Syracuse (287-212 BC). He didn’t quite get it perfect, but was close. The actual use of the Greek letter “pi” (again, the symbol would be useful here…suffice it to say, it looks like a kids drawing of a house) was in the 1700’s. It was first introduced by William Jones in 1706 and popularized by Leonhard Euler beginning in 1737. Pi is mathematically an irrational and transcendental number meaning, basically, that it will continue infinitely without repetition or a pattern. Most people use 3.14 or 3.14159 do to their calculations, but at this point the number has been calculated to over one TRILLION digits beyond the decimal point. the “A Brief History of Pi” section of the Exploratorium website says: “Pi has been known for almost 4000 years–but even if we calculated the number of seconds in those 4000 years and calculated pi to that number of places, we would still only be approximating its actual value.” Pi, is well and truly infinite, which is a pretty crazy concept if you think about it for a while. If you’d like to celebrate Pi Day, go out a buy a pie or pizza pie and dig in! Or do some other pie related things. You could also do some kind of 3.14 related games or events. Or you could Hit up a number of bakeries and pizzerias that are offering Pi Day deals. Or you could (somehow) go to the Exploratorium in San Francisco, CA and participate in the Pi Procession. Or take the healthier route and walk or bike 3.14 miles (it’s a pretty day out there…maybe not a horrid idea). Oh! It’s also Einstein’s birthday…so perhaps do something with relativity or do your hair in a more “mad scientist” style. Bon Mardi Gras, Mes Amis! For those of you not in the know, what I’ve basically said is: “Happy Fat Tuesday, My Friends” and “Let The Good Times Roll”. Yes folks, today is Fat Tuesday, Mardi Gras, Martedi Grasso! Ash Wednesday, tomorrow, is the beginning of the Lenten season, and for many signals a period of fasting or “going without”. While Lent is a religious “season” most associated with the Roman Catholic Church, many different religious have joined in. For many Fat Tuesday is the last day to eat (or drink) things that may be barred by the church or given up for the 40 days of Lent (Ash Wednesday to Easter). Often Mardi Gras is celebrated with excess (hence, FAT Tuesday) of food, drink, and general revelry. Many cities host parades, lift outdoor drinking bans, and decorate with the traditional colors (Green, Purple, and Gold). In honor of this day of celebratory excesses, how about a list of the places known for really getting into the spirit of Mardi Gras. 1. New Orleans, LA. The largest U.S. celebration of Mardi Gras. The makers of bead necklaces love this place. 2. Rio de Janeiro, Brazil. THE largest carnival in the world. The city is overrun with over 2 million tourist each year. The samba is a favorite for parades. 3. Germany–seriously. All over Germany a variety of different celebrations are held, usually kicking off the Thursday before Ash Wednesday. In some cities a Prinz (prince), Jungfrau (virgin), and Bauer (farmer) are chosen. The Prinz leads the celebrations while the other two just the notoriety of the title. Fun Fact: The virgin is usually played by a beardless man. 4. St. Louis, MO. Yep, Missouri. STL makes the list for hosting the second largest Fat Tuesday celebration in the country. This is the 250th year of festivities in STL. The Soulard district is “ground zero” for more than a month. 5. The Mississippi and Alabama Gulf Coast, U.S. The towns, cities, and villages that dot the Gulf Coast join in the fun, with most hosting parades and soirees in the days leading up to Ash Wednesday. Their celebrations tend to be more family friendly. 6. Venice, Italy. Italy is considered the birthplace of “carnival” celebrations and they still know what they’re doing. Venice is the place to be, where porcelain or glass masks are as “required” as plastic beads are in New Orleans. 7. Sydney, Aus. Mardi Gras in Sydney has become synonymous with Gay Pride. Parties for both take place more than a month before Fat Tuesday, but the BIG parade is usually the Saturday before (this year, it was March 1st). Plus, it’s summer there…yeah. Its Fabulous and there isn’t snow everywhere. Love Andes Mints? Can’t go a day without indulging in some Mint-Chip ice cream? Actively crave Thin Mints 90% of the year (minus a couple weeks in Feb. when they are available easily)? 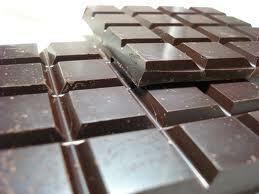 Today is National Chocolate Mint Day! Go out and celebrate with your favorite minty chocolates or chocolatey mints! 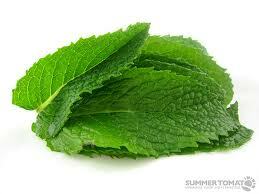 Better yet, stop by the library (today) and snag a chocolate mint while supplies last! If you’ve got a hankering to do some baking or general kitchen concocting, here are some fabulous “chocolate mint” themed recipes! In lieu of the typical post for this site, I’ve decided to honor Valentine’s Day in a purely librarian way: cheesy librarian pick-up lines. Prepare to be amazed by the tremendously creative use of library vernacular. Mind if I check you out? Are you a librarian? Well, I really need to be shushed! No one believes I am a librarian, maybe you should try to check me out. You have the tightest hair bun in the place! Let’s play search engine: enter your search terms and see if you get positive results. I’d catalog you under “Desirable”! Dewey belong together, or is it just me? Can I have your call number? I hope you’re not too scandalized. Librarians are an odd bunch. Happy Valentine’s Day to you all! Celebrate wisely, and we’ll see you all on Monday! (not our) National Libraries Day! Across the UK libraries will be pulling out all the stops, showing their patrons just what they are capable of, as well as hosting a variety of events for all ages. Each library has it’s own plan for celebration. Some will host a party, others will have a “petting zoo” for new e-readers or incoming electronics, still others will have crafting events or story hours throughout the day. It’s not just public libraries, either. Academic and special libraries are welcome to showcase their goods as well. Nuffield College Library took the offer and ran with it, dedicating a blog post to a behind the scenes look at their archive collections. Want to celebrate your libraries on UK’s National Libraries Day? What not stop in to Hooley-Bundschu Library and check out what we’ve got available? Or perhaps mosey down to one of the many public libraries in the area, get a library card, and check out a couple of cheesy romance novels for the weekend? Your friendly blogging librarian will be hitting up the Mid-Continent Library branch in Lees Summit to pick up a couple of graphic novels to plow through over the chilly weekend. Go Libraries! If you want to show your Avila University library some love, hop over to our Facebook Page and give us a like, or perhaps follow us on Twitter! Happy National Libraries Day to all the libraries in the UK and around the world! Check out some of the festivities listed on the National Libraries Day Website or the Facebook Page! Do you know what today is? Do you even know how important it is? Folks, it is Squirrel Appreciation Day. This is a very serious occasion, which much be celebrated according to extremely strict traditions. Yeah….no. But it really is Squirrel Appreciation Day so get out there and appreciate those little rodents for throwing acorns at your head all year. Squirrel Appreciation Day was created by Christy Hargrove, a wildlife rehabilitator, in 2001. In honor of this glorious day, here are the 10 most “interesting” facts about squirrels. 10) Squirrels have four front teeth that grow continuously, at a rate of about six inches a year. 8) There are more than 300 different species of squirrel around the world. 7) The smallest squirrel is the “African Pygmy Squirrel”, clocking in at a whopping five inches from nose to tail. The largest is the “Indian Giant Squirrel”, which can reach lengths of three feet! 6) A squirrel’s brain is about the size of a walnut. 5) The lifespan of a squirrel can be up to 12 years…if they would just stop running in front of cars! Oh, and natural predators cause problems too. 4) Mary Baldwin College in Staunton, VA has a squirrel-y mascot: Gladys the Fighting Squirrel. 3) Squirrels can relocate their stored food because they have licked or rubbed on the spot it is hidden, thus “scenting” it for later location. 2) Squirrels communicate using a variety of shrill sounds. They also use their tail to convey certain information/emotion. 1) Squirrel’s could rule the world…for a little while at least. Twice they have stopped trading at NASDAQ when some squirrels chewed through power lines. One squirrel caused a lengthy blackout in Northern Virginia when it got in to substation equipment and caused a transformer to blow. Rocket J. Squirrel was created in 1959 by cartoonist Jay Ward and is one of the world’s most famous squirrels. If you don’t know who he is…try looking up his friend Bullwinkle Moose. So, a very happy Squirrel Appreciation Day to all. Go throw some extra sunflower seeds out for them and don’t give them too dirty of a look when they nail you in the head with the shells. Happy Birthday Martin Luther King Jr.
Monday we will be honoring one of our nation’s most respected civil rights leaders, Martin Luther King Jr. King worked wonders in all parts of the country, bringing people together to fight, peacefully, for equality for everyone. He is known best for his leadership in the peaceful protests in the south (mostly Alabama) and the march on Washington D.C., which paved the way for the Civil Rights Act of 1964 and the Voting Rights Act of 1965. MLK Jr. Day is always observed on the 3rd Monday of January, due to its nearness to his actual birthday on January 15th. His birth name was actually Michael Luther King, but had it changed to Martin. King was a brilliant student, graduating from high school and entering Morehouse College at 15, receiving his Bachelor’s degree at 19, attending Crozer Theological Seminary for 3 years, and eventually receiving a graduate fellowship at Boston University from which he received a doctorate in 1955 (age 25). His wife’s name is Coretta and he had four children: Yolanda, Martin Luther King III, Dexter Scott, and Bernice. The first protest King “led” was the Montgomery Bus Boycott. Which was set in motion by Rosa Park’s act of defiance. Until his death, King led the Southern Christian Leadership Conference which he helped found. He was assassinated on April 4th, 1968 while standing on a hotel balcony in Memphis, TN. The shooter was James Earl Ray, who was caught and died in prison in 1998. King was there to participate in a labor strike for sanitation workers. The “I Have a Dream” speech was given at the close of the March on Washington in the shadow of the Lincoln Memorial. King received the Nobel Peace Prize for his works with civil rights in 1964. He was 35, making him the youngest person to have received this award. “Letter from Birmingham Jail” is just one of King’s many published works. He has at least 5 books published as well as numerous articles.